SEOUL (Bloomberg) -- Kia Motors posted fourth-quarter profit that missed estimates as a stronger won cut exports. 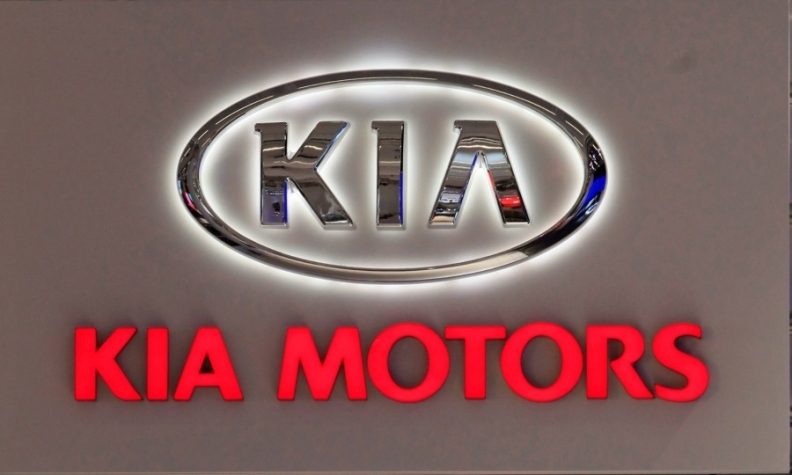 Operating profit climbed 61 percent to 650.3 billion won ($604 million) from 404.2 billion won a year earlier, Kia said on Thursday. That lagged behind the 789.8 billion-won average of 24 analyst estimates compiled by Bloomberg. Kia joins its largest shareholder Hyundai Motor Co. in reporting profit that missed estimates as the won appreciated, eroded the companies' competitiveness against Japanese makers in key markets such as the U.S. The companies, which share a chairman, are predicting their weakest combined sales growth in eight years as the stronger local currency saps overseas demand. "Kia's fourth-quarter operating profit was shocking," said Lee Sang Hyun, an analyst at NH Investment & Securities Co. "It was much less than what we had expected" because of the won's gains, he said. Fourth-quarter net income climbed 29 percent to 949 billion won from 737.5 billion won a year earlier, surpassing the 909 billion-won average of 25 analyst estimates. The won has gained 3 percent against the dollar in the past six months, the best performer among Asian currencies tracked by Bloomberg. Versus the yen, the won advanced 23 percent last year, curbing Kia's and Hyundai's competitiveness against Japanese automakers such as Toyota Motor Corp. in exporting to the U.S. The won's "steep appreciation" led to a weak operating profit in the quarter, Chief Financial Officer Park Han Woo said on a conference call. Kia plans to increase deliveries this year by 5 percent to 2.96 million vehicles, according to comments by Chairman Chung Mong Koo to employees in Seoul on Jan. 2. Combined deliveries at Hyundai and Kia will rise 4 percent to 7.86 million vehicles in 2014, Chung said. That's the slowest growth since 2006 and falls short of the 8 million average estimate of five analysts surveyed by Bloomberg News. "We expect the yen's weakening trend to continue, which will in turn be a threat to Kia's business," Joo Woo Jeong, head of its financial management group, said on the call. To counter this, Kia will strengthen its brand image and introduce new models to boost sales, among other measures, he said. Fourth-quarter net income at Hyundai climbed 15 percent to 2.06 trillion won. The result missed the 2.22 trillion-won average of 19 analyst estimates. Hyundai will increase investments in research and development to counter the edge that the weaker yen is giving Japanese automakers, Chief Financial Officer Lee Won Hee said. Kia forecast its sales in the U.S. will increase 9 percent to 585,000 units this year, after dropping 4 percent in 2013. Sales in China, which overtook the U.S. as Kia's largest market last year, will gain 15 percent to 630,000 units. The company has begun operating its third factory in China and expects to produce 150,000 units at the plant this year, doubling to 300,000 in the long term, Chief Financial Officer Park said. In South Korea, deliveries of pricier models including the Sportage SUV vehicle and the Soul wagon jumped 58 percent and 84 percent respectively in the fourth quarter, Kia said on its Web site. Sales of the Soul rose 13 percent in China, helping Kia offset a 51 percent drop in the U.S.